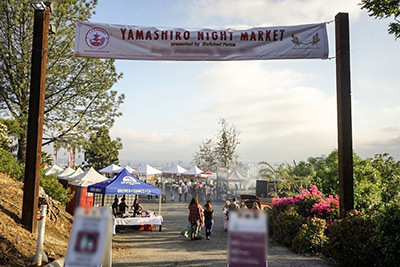 Every spring in Los Angeles we never fall short of enviable warm weather, and Yamashiro is never one to miss taking advantage. This is why we bring you the Pagoda Bar! Located just down the steps through our majestic gardens, the Pagoda Bar is open from 5-10 every Thursday through Saturday for our guests to enjoy a refreshing cocktail while taking in the beauty from sky high views of our exciting city. Trickling streams, waterfalls, and sweet-smelling gardens exude serenity as our guests can lounge and escape their bustling everyday lives. All who come can enjoy the unique flavors of our bartenders’ favorite exotic cocktails like Stan’s Candied Lemon Drop, Coconut Mai Tais , or just a classic beer are always awaiting a fan’s order as well. 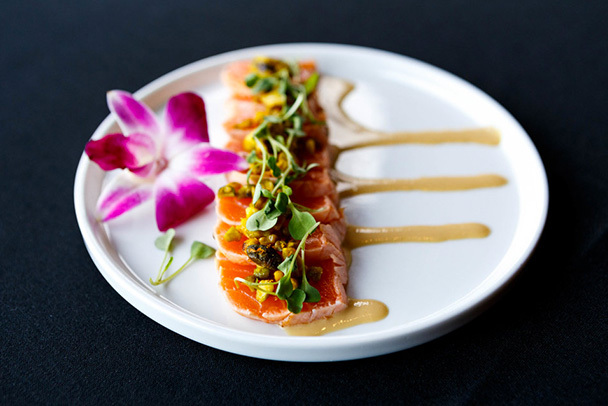 Our Pagoda bar also includes food favorites such as the Ahi Poke and Spicy Yellowtail with Macadamia Nut Roll just to name a few. A dream-like getaway, a few cocktails and bites, and you are set for a summer evening in the hills. Also don't forget! Thursdays we have our Farmer's Market as well! So visit our vendors, and stop by the Pagoda bar! !